Paltrack’s web-based stock management solution for the abalone industry is AquaView, developed in conjunction with an abalone canning facility in Hermanus. 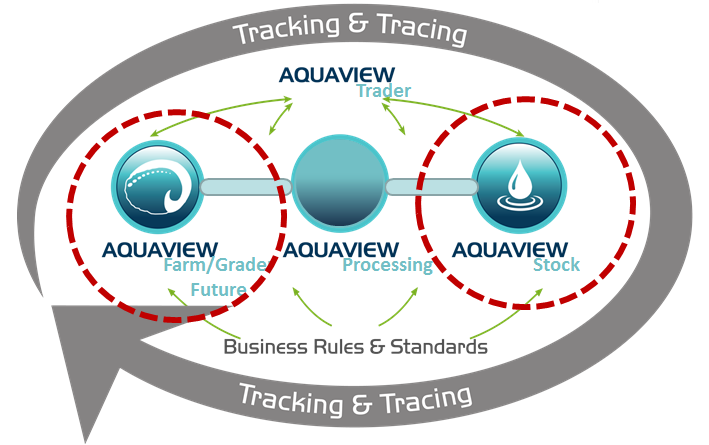 AquaView provides a detailed user-friendly data and stock management solution for an abalone processing facility. The program allows for comprehensive data capture and management after the canning cycle into the warehouse, to dispatch of the product and sales. Full functionality can be accessed from anywhere, anytime via the internet. Have full visibility of stock and stock positions within their stores. Plan jobs and conduct operations via specific sessions. Make accurate production projections for sales purposes. Make budgeting decisions based on production trends. Make informed decisions about the implementation of steps to improve overall productivity, especially during times when under-production occurs.